Interiors Buildings Cities focuses on buildings and interiors that accommodate the different scales and gradations of public life within the city, from the street to the public interior. It addresses the ways in which the accommodation of people within the scenes made by architecture can be situated in relation to place and time, and to social and material culture. Each course in the programme refers to a particular building or interior type, whose evocations acknowledge both its past significance and its capacity for adjustment, adaptation or transformation in response to present and future needs. Investigated through iterative processes of drawing and large-scale physical modelling and supported by lectures and seminars, students design architecture across these different spatial scales and types, creating coherent places that respond to carefully observed situations that exist between interior and exterior. Each course and project places emphasis on different aspects and components of this larger endeavour and whilst they can be taken individually, they together establish a continuous field of investigation, allowing students to develop and refine ideas within a rich and rigorous architectural framework, defined through experience and underpinned by a cohesive historical and theoretical discourse. A city is chosen as the collective site for each year, establishing a common ground for research and dialogue across courses. The projects that result are ambitious in their detailed consideration of the rooms and spaces we collectively inhabit, as contiguous parts of both the larger spatial and tectonic order of a building, and the urban condition in which it is set. The MSc1 studio 'House' explores buildings that both inform and are informed by the physical and social fabric of their immediate locality, accommodating the rooms and spaces that structure and draw a community into dialogue with itself. The emphasis within this studio is on the synthetic design of a building at each scale, from the urban through to the constructional detail. The MSc2 studio 'Salon' refers to the tradition of the large public room that receives and shapes the society of people that it gathers, offering opportunities for both intimacy and publicness in engagement with the building and the city in which they are set. Students on this studio design the structure and fabric of such an interior, either in response to or set within an existing building. This includes consideration of its furnishing, material and finishes, along the possibilities of its inhabitation. 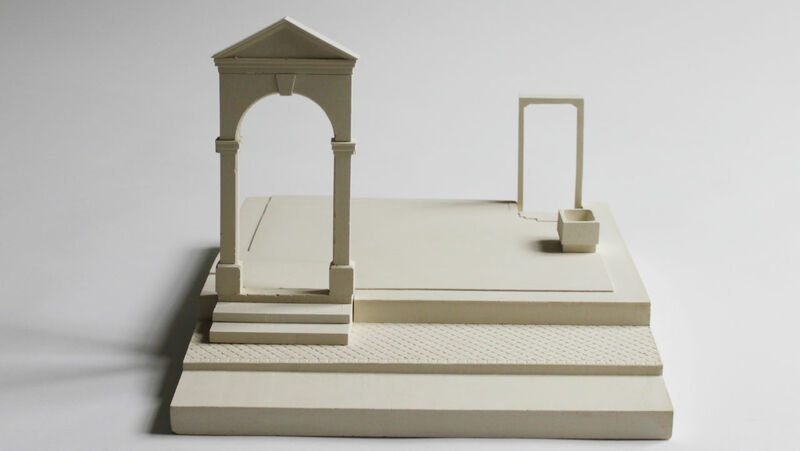 The MSc 3 and MSc 4 graduation studio 'Palace' refers to the forms and histories of such representative public buildings, while acknowledging that their roles and responsibilities to the society and culture have been constantly reinterpreted over time. The inherent spatial complexity of the palace, with its hierarchies, infrastructures and intricate sequences of rooms and spaces, encompasses and extends the themes and issues raised within the other courses. Transformed to meet contemporary needs, it is offered as a framework or scaffold for collective public life. Additional information about the projects and student work can be found here. * The MSc 2 semester of the Architecture track consists of 5 credits of compulsory courses and 25 credits of electives, of which an approved MSc 2 Architecture design project. See also the MSc 2 design projects page for an overview of MSc 2 Architecture design projects.